Manchester City have the tantalising prospect of claiming the Premier League crown with a home win over rivals Manchester United but, while the fans would relish such a unique moment, Pep Guardiola wants to keep such a scenario out of his mind. City, who have a 16-point lead over their second-placed local foes with eight games remaining, first need to beat Everton at Goodison Park on March 31 if they are to head into the Manchester derby on April 7 with the title within reach. The team’s supporters certainly had the idea of rubbing salt into United’s wounds with a party at The Etihad as they sang several songs about arch-rivals United and their manager Jose Mourinho during Monday’s 2-0 win at Stoke City. But Guardiola was quick to emphasise that the derby comes between the two legs of the Champions League quarter-finals against an opponent to be decided in Friday’s draw, with United looking to book their place in the last eight on Tuesday. “We want to be (Premier League) champions… but, believe me, before and after United we have (the Champions League) quarter-finals and at that moment it is the most important thing, focusing on the quarter-finals,” said Guardiola “I understand for the fans, OK, but the important thing is to be champions. When, where, it doesn’t matter,” he said referring to their impending English league title success. Skipper Vincent Kompany, who won the Premier League with City in 2012 and 2014, certainly understands the emotion that would be generated by winning the title by beating United. “Everybody on the ‘Blue’ side of Manchester knows it would be a once-in-a-lifetime opportunity,” he said. “We have one more game before United and then we’ll see. (But) steady, it won’t be handed to us. “It’s that time of year – every single win brings you one step closer to your goal,” he added. City left for the airport after the Stoke game with a break in the club’s owner’s homeland awaiting them. “Now we have three weeks off, we go to Abu Dhabi and will come back strong. 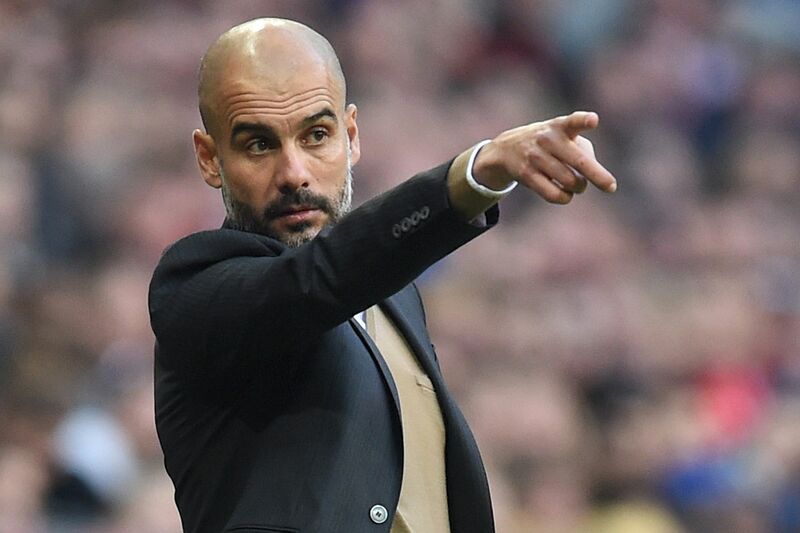 It is a tough winter for everybody so we are off straight away and we look forward to the weather,” said Guardiola, noting the forecast for Manchester next week of rain. “To be champions is tough, it’s complicated. Our club does not have a history of a lot of titles. As soon as possible will be better but now we can be relaxed, the players go away with their international teams. It doesn’t matter where we win it”.